Everyone has experienced Trauma of one kind or another – it’s unavoidable. Many people who came on the original seminar in 2014 (this is now offered as a recording) commented that they had never even realised they were holding trauma – they’d just wondered why they couldn’t get past the story and the painful emotions that had lowered their sense of value and worth. Metatronic Healing® can do a great lot to clear trauma whether physical, emotional, psychological or spiritual (usually, of course, a mixture of several) and heal its residual effects. The Seminar addresses the widesp read issues of Trauma, including all forms of Abuse. 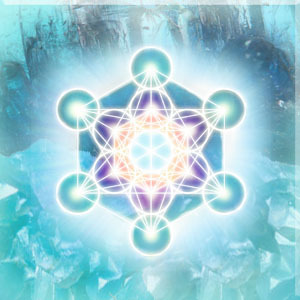 Created to support the recovery process, it is a nurturing but very powerful introduction to the Metatronic energies and clearances, providing a safe and anonymous space for those who – as so often – have been so hurt by life that it can be very hard, at least at first, to show up in a physical room with strangers. The material for this seminar has grown partly out of the work Pippa has been involved in through several years pushing back the frontiers in trauma release on the deepest physical level as she has worked with her daughter to clear the effects of a massive childhood accident as her nervous system repairs and finally rebuilds. It has also emerged from years of witnessing the miracles of Metatronic Healing that have emerged as we have seen in action the ancient and universal laws that apply to healing on every level from karmic and spiritual right down to the level of our DNA. Like all the Teleseminars, this is an opportunity for you to be held in the energies of Divinity as well as in safe connection with other human beings on Earth – many or even most of whom will have experienced wounds very similar to your own.